This easy chili dog recipe makes about 16 to 20 servings, perfect for a party or big game day gathering, and it takes just 30 minutes to cook. 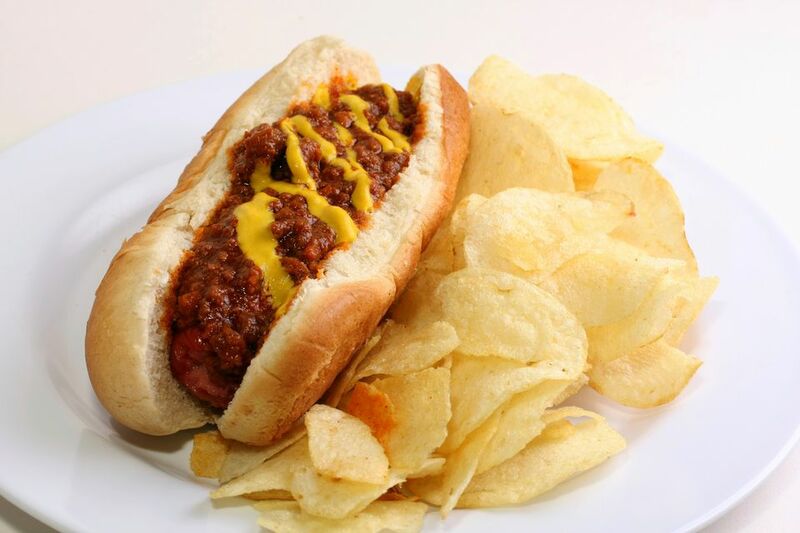 Top the chili dogs off with mustard and chopped onions, a little cheese, or use your favorite hot dog toppings. Put the sauce in a slow cooker to keep warm; serve right from the cooker with bowls of various toppings and napkins for guests. Heat oil and saute garlic and onion until light golden, about 7 to 9 minutes. Add chili powder, sugar and cumin. Continue cooking, stirring constantly, for 2 minutes. Add ground beef and cook, stirring, until evenly browned. Stir in remaining ingredients; reduce heat to low and simmer until very thick, 15 to 20 minutes.